Losing Wages, Losing Oil, Losing Money - Know Your Rights! Summer’s not over yet, but it’s hard to deny that Fall is (slowly) on its way. Things keep moving forward – especially here at ClassAction.org, where we continue to bring you the latest settlements and news. In this issue, we've got more warnings about formaldehyde off-gassing in homes, questions about whether TV buyers are getting what they paid for, and an unusual one for us: an investigation prompted by readers who contacted us about mysterious calls and texts they’d been getting. We looked into the source, and you can read all about it below. If you ever want to get in touch with your questions or concerns, you can find us on Facebook and Twitter. 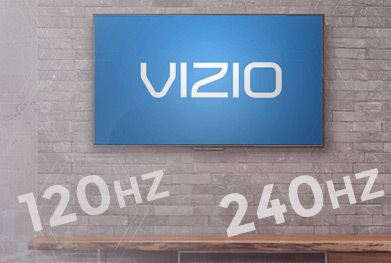 Vizio TVs: What’s Your Refresh Rate? If you purchased a Vizio TV that advertised a 120Hz or 240Hz refresh rate, you may have paid more than you should have. Attorneys have reason to believe that the TVs come with only half the advertised refresh rate – meaning that the 120Hz TVs only have a 60Hz refresh rate and that the 240Hz model’s refresh rate is only 120Hz. The difference may be noticeable when watching sports or when playing video games, as the image may “judder” or “jerk.” Some have also noticed that the scroll on the bottom of news programs can’t exactly keep up. LG has already been sued over this issue, and now attorneys working with ClassAction.org believe Vizio TVs are exhibiting the same problem – and that a class action lawsuit may be possible. If you bought a 120Hz or 240Hz Vizio TV, learn more about how you may be able to get your money back. Employees of Wells Fargo have accused the bank of failing to pay overtime wages despite encouraging workers to put in more than 40 hours per week – especially during the account fraud scandal. Lawsuits have already been filed, and in one case, workers argue that they were encouraged to solicit new business after their workday was over and even given “off-site sheets” that they referred to as “homework.” The catch? Employees were allegedly told to log no more than 40 hours into the company’s time tracker log. Now, attorneys working with ClassAction.org are looking to hear from current and former Wells Fargo employees who had this happen to them, including bank tellers, branch managers, lead tellers, personal bankers. (This includes both salaried and hourly workers – even those who were told by their bosses that they were exempt from overtime pay.) These people may be able to take part in a class action lawsuit to seek compensation for up to three years’ unpaid wages. Contact us and learn more about this case here. If you own or lease a 2010 – 2017 Chevy Equinox and have noticed that it goes through oil too quickly, you’re not alone. Drivers have complained that the vehicles need to be topped off more frequently than other cars, with some putting the figure at one quart of oil for every 1,000 miles. While there’s been no recall, General Motors did release a service bulletin in July 2015 concerning the 2011 Chevy Equinox. The notice warned that the cars could exhibit “excessive oil consumption” and provided a fix for those models. The only solution for the other model years, consumers say, is to bring in the car for frequent oil changes and carry around extra oil in their cars. Drivers claim the oil consumption problem is causing a number of operational issues, including stalling and shutting off while driving. This makes what may be a widespread problem both frustrating for drivers and dangerous for anyone operating the affected vehicles. A lawsuit against General Motors might be able to seek compensation for those affected. Want to learn more? Get in touch and tell us if you’ve experienced this issue. Several municipalities in North Carolina are facing lawsuits for charging “capacity replacement” or “impact” fees. These fees, paid by builders and developers for the future use of sewage and water facilities, are charged on top of regular fees and were recently declared unconstitutional by the North Carolina Supreme Court. While several townships argue that the fees help to maintain their facilities as they expand, plaintiffs in the suits argue that the fees are not actually being put toward anything, and that municipalities may not have the authority to charge the fees in the first place. Holly Springs and Garner are already facing lawsuits, and if you’ve been charged these fees – which may also be known as utility development fees, capital facilities fees or capacity replacement fees – you may be eligible for a class action lawsuit to get your money back. Learn more by reading our impact fees page. If you own or are in the process of purchasing a house with Weyerhaeuser’s TJI joists with “Flak Jacket” protection, you may have received a letter notifying you of certain problems with the product – and that’s just the start. Lawsuits have now been filed claiming the joists are defective and releasing illegal levels of formaldehyde via a process known as off-gassing. The cases were lodged despite the company’s offer to cover the cost of “remediating or replacing affected joists.” Attorneys suspect that the offer isn’t enough and believe a class action lawsuit could provide money for other, directly-linked costs. These include relocation expenses, decreases in property value because of the issue, and any medical expenses linked to the off-gassing. Read more. A few of you have been in touch after getting calls and texts from a company talking about the Navient lawsuit. First of all – no, they’re not from us. We weren’t sure why people were being contacted, so we’ve looked into it for you, with some surprising results. Read about our investigation, and what the calls actually mean, in our new blog post. Four automakers have agreed to settle class action lawsuits filed against them over Takata airbags. That means anyone who had a car with the affected airbags may be eligible for some money. So, if you received a letter about the details of the settlement, it’s time to make your claim. Find out more about the Takata settlement by reading our handy blog post. And, if you want to know more about how the process works, check out our guide “I Got a Class Action Notice – Is This a Scam?” Happy reading! Mixed results for plaintiffs and J&J in the most recent mesh ruling in Philadelphia: while the jury agreed that the mesh was defectively designed and that the company failed to provide adequate warnings about associated risks, jurors ultimately ruled that there was no direct link between the plaintiff’s injuries and the Ethicon Inc. mesh she was treated with. J&J has lost its four previous jury trials, with settlements reaching almost $50 million – a trend many plaintiffs had hoped would continue. While, in this case, the patient’s medical history was enough for jurors to question the mesh’s direct link to harm caused, that doesn’t mean other cases won’t continue to go against the manufacturer. Read more about mesh lawsuits on our site. Speaking of mesh, Endo International PLC has announced that it will pay an estimated $775 million to end virtually all U.S. and international mesh lawsuits against it. In a statement, the company said it expects payments to continue until the end of 2019, with 22,000 mesh implant claims covered by the settlement. Although it can’t say for certain, Endo currently expects the agreement to cover all known cases and allow claimants to “move forward with their lives.” This does not mean the Endo accepts any fault for injuries linked to its mesh devices.